He gets a keyboard, she gets a keyboard… But which keyboard should you choose? When you’re no stranger to rocking those keys like a pro, you’re probably familiar with the ginormous range of keyboards and synths all those music shops have to offer. And maybe you might’ve been paralysed with doubt yourself whilst having to make a choice between all those beauties. This is why, for future references, we’re telling you which keyboard is a perfect fit for you (or for that musical friend in doubt of yours). Here we go! Especially these two diamonds are worth your while when exploring your options. Are you more than familiar with the keyboard and synth and are you looking for something more advanced? Then you should definitely check these two out! When you’re into the high-tech scene, you don’t need to continue your search: your quest has ended, my friend! Because trust us, the Roli Seaboard Rise 49 is everything – and more – you have been looking for! Are you mostly immersing yourself within the pop-synth/dance scene? 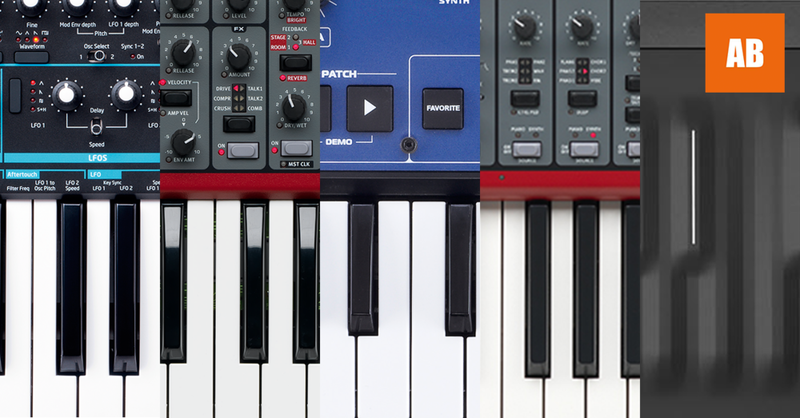 Than Novation is definitely the musical prince charming you’ve been waiting for. Can’t wait for your happy end? Than you should definitely check out following two winners! Want to know more? Make sure to visit our store! Haaave you met… the state-of-the-art D’Addario Planet Waves CT 15 Tuner?